Country Inn & Suites by Radisson today announced the opening of Country Inn & Suites by Radisson, Brookings, SD located at 3000 LeFevre Drive. "We are thrilled to continue growing the Country Inn & Suites by Radisson brand in the Midwest," said Aly El-Bassuni, senior vice president, Franchise Operations, Americas, Radisson Hotel Group. "The opening of this hotel signifies our commitment to providing exceptional hospitality to all of our guests, offering comfortable spaces serviced by warm and friendly staff." The hotel offers 75 guest rooms and suites. Guests have access to an onsite fitness center, 24-hour business center, indoor pool and hot tub, free parking and free Wi-Fi. Small gatherings can take place at the hotel's boardroom-style meeting space, equipped to hold a maximum of eight guests. The meeting room features free high-speed internet, audio and visual equipment and a whiteboard. The hotel offers a complimentary, hot breakfast served on real dining ware. Guests also have access to a 24-hour Inn Case MarketSM in the lobby offering snacks and beverages. "We are proud to raise the Country Inn & Suites by Radisson flag outside our hotel," said Dave Patel, the hotel's owner. "Guests know that when they stay at any Radisson hotel, they are receiving an excellent hotel experience filled with caring staff and comfortable spaces, and we couldn't be more excited to live up to these expectations." 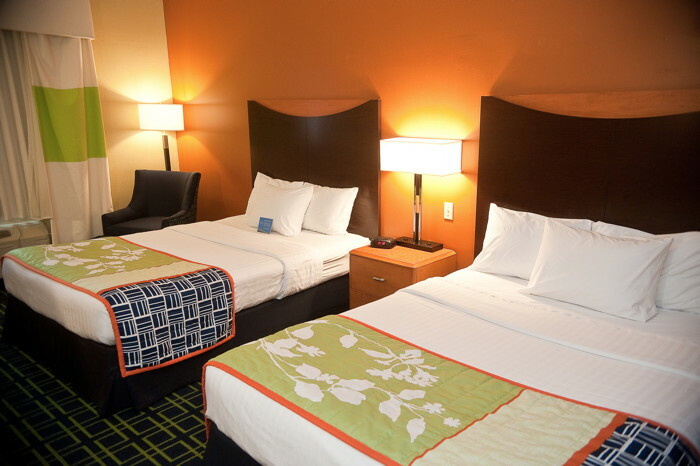 Are you with Country Inns & Suites by Radisson? If you are a member of Country Inns & Suites by Radisson you may be interested in learning how to optimize your content on our network.